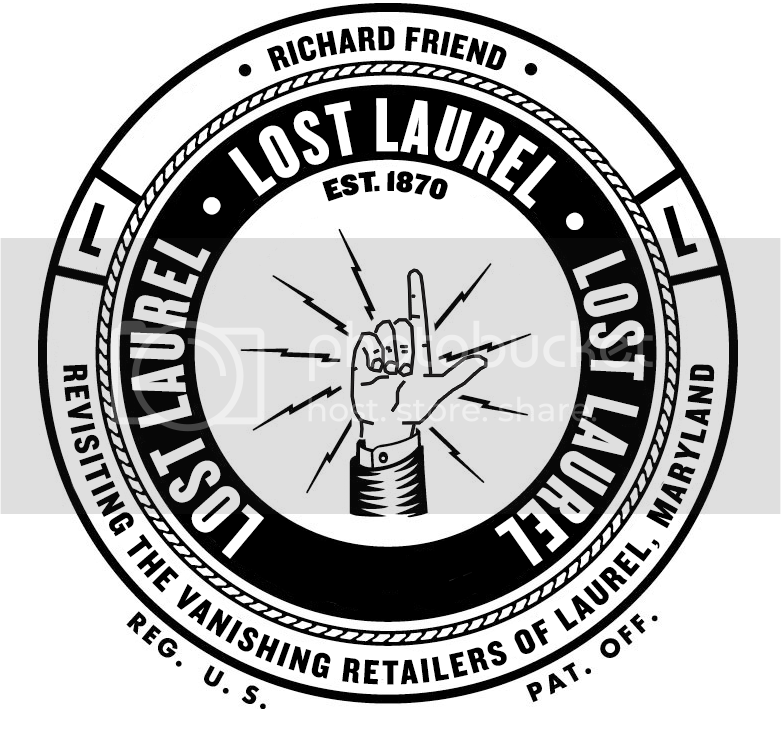 If you’re like me, you’ve often wondered what it would be like to fly over Laurel Shopping Center… in July 1971. Thanks to John Floyd II, who shared this fantastic print of a Kodachrome 64 slide from the collection of Laurel Rescue Squad, now we know! 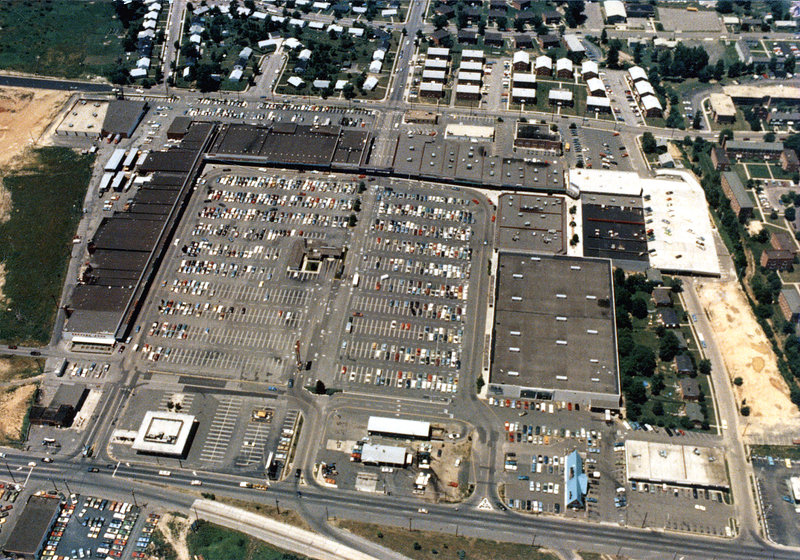 Some eight years before Laurel Centre Mall would be built, the Hecht Co. building dominates the ample parking lot. Directly behind Hecht’s, along Marshall Avenue, is an odd sight for those familiar with the area today—single family houses—the few remaining dwellings before the Arbitron Building would arrive in January 1979. Further down Marshall Avenue, we see the 150-car parking deck for the new Georgetown Alley shops—15 stores which opened in April of that year. Marshall Avenue passed directly below the parking deck, in what was easily the darkest, creepiest corner of the shopping center. In the foreground of the picture, along Route 1, we see the familiar blue gabled roof of the original International House of Pancakes. To its right, just across Marshall Avenue, we see just a sliver of the parking lot of Laurel’s original McDonald’s drive-thru—the building which would soon become the Big T/Tastee Freez. And speaking of colorful roofs, note the tiny yellow speck just below the Giant Food neon sign near the shopping center’s entrance. Yep, it’s the Fotomat, where countless photos were processed over the years—although probably not very many from this perspective. Be sure to click the photo for a larger view.